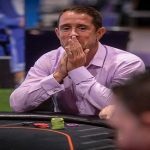 A family man and a part time poker player Corey Bierria wins his first gold ring, playing at WSOP IP Biloxi Circuit. This was the event#11 of the tournament, which was a $365 buy in No Limit Hold’em Turbo, to which Bierria did great and topped 99 players for $8,911. 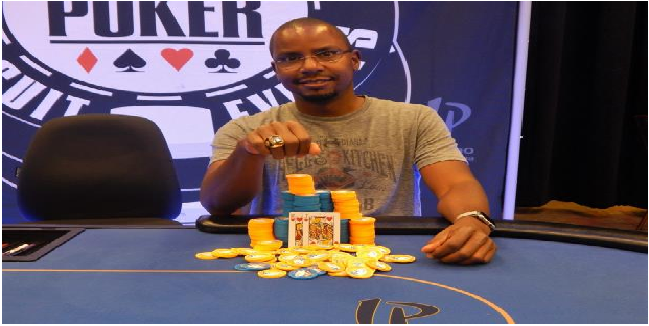 Event#1 was a $365 buy in No Limit Hold’em Double stack, which attracted 800 players from many parts of the world, but it was David “Bama” Walters, who won the first gold ring at event#1 and took home a good total of amount $47,992. 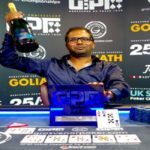 Event#2:- Steve Giddings, a pro from the USA won the event#2 of the world series of poker circuit and collected $8,638, by defeating 96 players in the ground. The event was $365 No Limit Hold’em Turbo. Event:-3 was a $365 buy in No Limit Tubo, to which Dallas Berry defeated 95 players to take home $8,551 as first prize. Event#4 and Event#5 were $365 No Limit Hold’em (30 Minuets level) and $365 Pot Limit Omaha and they belongs to Doug “Rico” Carli ($9,901) and Nate Bandy ($10,668), respectively. Event#6, event#7 and event#9 were $365 Pot Limit Omaha, $365 No Limit Hold’e, 6 Max and $365 buy in No Limit Hold’em Monster Stack. Scott Cooper wins event#6 for $8,063 and topped 84 players, David Aker, defeated 175 players to win Event#7 for $14,701, whereas Andrew Hines collected $17,174, by beating 229 players. Meanwhile event#9 and event#11 of the WSOP IP Biloxi circuit were $580 No-Limit Hold’em and $365 No-Limit Hold’em Turbo, and they belongs to David Cossio (126 players and $17,639) and Corey Bierria, who topped 99 players for $8,911. We’ll let you know further details about the main event of the championship here at real poker online, so please be with us to get updated.